or call (800) 707-5276 for immediate service. Gracious living is marked by the qualities of charm, good taste and generosity of spirit. It is further characterized by self-fulfillment and the enhancement of nature. Helping our customers achieve gracious living at home is the inspiration behind every product and service offered by Kohler. The KOHLER® Walk-In Bath is designed to complement your active lifestyle, and provide a modern component to self-care at home at every age. Explore our tips and design ideas for gracefully aging in the home you love. Adding modern touches to your home can make all the difference in creating a space that is more functional for you. From simple modifications that make you feel secure to elegant appointments that make daily life easier, these tips will ensure you make the most of your home’s space. 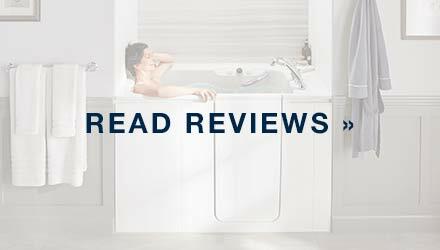 Refresh outdated bathroom appliances and take advantage of new technology and engineering advancements that provide a safer and more comfortable way to bathe. Install nightlights in hallways and bathrooms for better visibility at nighttime. Illuminated switchplates also help you locate light switches in the dark. Replace throw rugs and area rugs with low-pile carpet or slip‑resistant flooring to prevent trips and falls. Remove clutter from floors to keep a clear walking path. Keep items stored within easy reach. Trunks and ottomans with storage features add style to common areas and eliminate the need to reach for overhead shelving. 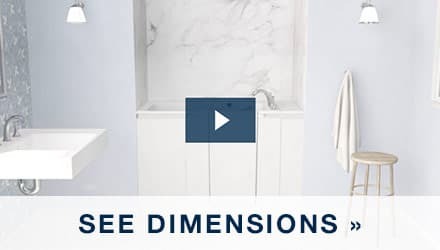 The KOHLER® Walk-In Bath was designed and engineered to support and embrace your everyday lifestyle, and to ensure you continue to do what you love to do. Sore back and leg muscles can take a toll after a day of vigorous activity, such as exercise, weeding in the garden or chasing after grandchildren. Feel refreshed and rejuvenated with our hydrotherapy comfort features. BubbleMassage™ jets massage your body and leave you feeling reinvigorated and relaxed. Whirlpool jets deliver targeted relief to stress points along the spine and legs to shorten recovery time. The ergonomic deep seat places you at a perfectly reclined angle and takes the weight off tired joints. All Kohler products are designed to seamlessly marry form and function, so your purchase is not only useful, but also adds beauty to your home. Customizable LuxStone™ Bath Walls offer beautiful and durable design for your bath space. The walk-in bath is available in traditional Biscuit, a creamy yellow, and clean and crisp White. Choose from Polished Chrome or Vibrant Brushed Nickel fixtures to complete the look that suits your style. Specialty comfort features inspired by treatments at the Kohler Waters Spa allow you to bathe in luxury. Thousands of tiny bubbles make you feel light and relaxed as you soak. BubbleMassage™ jets are the ultimate in spa-like bathing. For a more massage-like experience, combine BubbleMassage™ jets with whirlpool hydrotherapy jets. Bask® heated surfaces keep your back, neck and shoulders warm and cozy from start to finish. 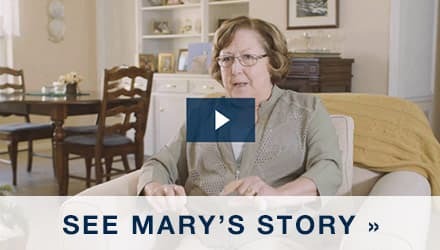 After purchasing a new home, Patrick and his partner began outfitting the space to allow them to live there comfortably into retirement. Their first modification was replacing the traditional bathtub with a safer and more therapeutic walk-in bath. "It’s like the bath that goes on for days,” he said. “Like a day at the beach with the waves going in and out. It’s absolutely the best way to get good night’s sleep, too." Bathe comfortably without a lengthy renovation. The KOHLER® Walk-In Bath was designed to be installed in as little as one day. 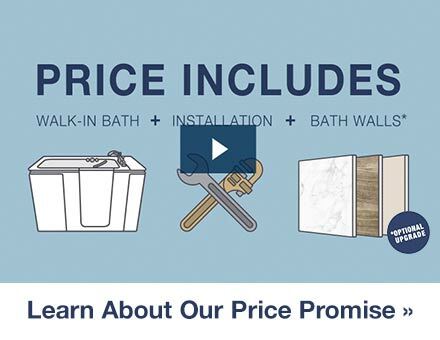 Your Kohler-certified specialists will expertly remove your old bathtub and install your new walk-in bath, LuxStone™ Bath Walls and accessories the same day, helping you avoid the mess and stress of your typical home remodel project.